In 2018 we will be visiting this vibrant and exciting City on the tenth anniversary of it being awarded European City of Culture status. There are many modern attractive museums and galleries to explore, together with the lively night life and music world. Below is a brief outline of the tours and visits included in the cost. Day 1 We will leave Swanage at 8.00am and travel to Bridgnorth for our lunch break. Then onwards to check in at the Marriott Hotel (City centre) on a B&B basis. The first night dinner will be served in the Hotel and is included in the price. Day 2 We have Blue Badge Guides throughout the day and we will visit the City and both famous Cathedrals, one designed by Sir Giles Gilbert Scott and the other by Sir Fredric Gibberd. Day 3 We drive through the Mersey Tunnel to visit Port Sunlight Village and have a tour of the museum. We go across the road and visit the ‘jewel’ in the crown The Lady Lever Museum and Art Gallery. After lunch (not included) a short drive will take us to Ness Botanic Gardens. Day 4 ‘Ferry across the Mersey’ where we will see the iconic buildings from the river. Optional evening trip to see the lights at Blackpool, which is included in the cost. Day 5 Visit Speke Hall (NT) together with seeing the 2 Beatles homes (NT) coming back to the hotel via the Gormley statues. Day 6 Leave Liverpool to return to Swanage, stopping at Gloucester Services for lunch, hopefully arriving at about 7 to 7.30pm. Leave Swanage - stopping at a motorway services for a coffee stop (not included) and then straight to the Globe Theatre for a one hour theatre tour. We will stay in the area until the coach picks us up at 3.30 pm approx. This will allow the evening theatre-goers time to have lunch and also for you to wander around the area: Tate Modern, Millennium Bridge and the River are close by. We will arrive at The Clarendon and book in for Bed and Breakfast. At 4.45 pm (for theatre goers only) there will be a light buffet served before leaving at 5.45 pm for the Haymarket (extra charge of £15.00 per person). See the booking forms for choice of theatre visits. Option a) Leave at 5.45 pm for the Haymarket for theatre goers and any other members who may wish to dine in the City. Leave Haymarket at 11.00 pm to return to Blackheath. Option b) Walk to Blackheath Village and have a meal in one of the many Bistros and Restaurants, maybe visit the small theatre? Option c) Have a meal at the Hotel. After breakfast check out of Hotel and leave at 9.00 am with a Blue Badge Guide for a Pomp and Ceremony Tour of Whitehall. This includes seeing the Changing of the Guard, visiting the Household Cavalry Museum and Churchill’s War Cabinet Rooms. We will leave London for Swanage 4.00 pm approx. In spring of 2019 we will be going to Kent to visit some important houses, interesting both historically and architecturally. We set off visiting firstly Hever Castle the childhood home of Anne Boleyn, rescued and re-created by the passion and money of William Waldorf Astor. Much history to ponder upon and a wonderful garden to explore. Later we will book into Donnington Manor Hotel on the outskirts of Sevenoaks on a dinner, bed & breakfast basis for our two-night stay. 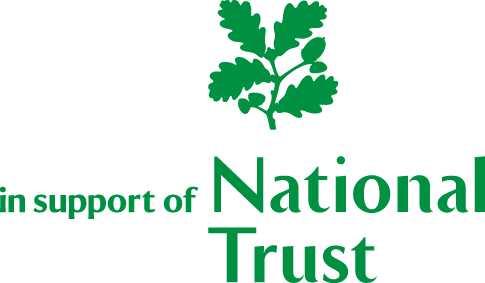 The next day we will be able to make an early start to explore the wonders of Knole a historic property, ’’the forgotten palace of England’’, where during the last three years the National Trust has undertaken a huge programme of conservation. The present house dating from 1456 sits within a deer roamed parkland and is ‘’the most utterly old of English houses’’. An amazing place to visit, so much to absorb and so involved with the nation’s history. If, during the day anyone has a need to return to the present century, Sevenoaks is there to explore before we return to our nearby hotel. On our final day we will visit Penshurst Place the home of one of history’s most glittering figures – Sir Phillip Sidney, the “beau ideal” of Elizabethan times. A magnificent property still in the possession of the family, the present owner being Viscount De L’Isle. A wonderful collection of treasures to amaze us and gardens to enjoy. The cost of the trip may appear high as hotel accommodation is very expensive in this part of England and we must pay admission to Hever Castle and Penshurst Place but our visits should be of great interest to PANT members. This year we are trying something new by venturing into foreign parts when we cross the Severn Bridge into Wales. We will be staying in the centre of an exciting and historic town where you can walk to many places of interest. The hotel accommodation is on a B&B basis. There are numerous eateries nearby. Day 1 Sunday: We leave Swanage at 8.30 am and travel to Tyntesfield (NT) with a short comfort stop en route. We should arrive in plenty of time for lunch (made with ingredients sourced from the estate). We then resume our journey, crossing over the Severn Bridge into Wales and our hotel. Once we have arrived, received our luggage and had a quick wash and brush up we will then have a buffet tea (included in the cost) at the hotel. Day 2 Monday: After a good breakfast we leave the hotel at 9.30 am to visit the Royal Mint. We will be able to have lunch there after the tour. At 1.45 pm the coach will take us to Tredegar House (NT), a tranquil retreat outside Newport. It has sumptuous decoration, formal gardens and sprawling countryside. There is a tea room which serves home made cakes, and where souvenirs and plants can be bought. We will return to our hotel at 5 pm. Day 3 Tuesday: We will leave the hotel at 10 am for an optional tour of the Welsh Assembly lasting an hour from 11 am. The group will rejoin for lunch before setting off for a tour of Cardiff Castle at 2 pm. Day 4 Wednesday: Depart at 9 am to visit one of Britain’s oldest tin mines at Aberdulais (NT) and the waterfall. There is a tea room serving light lunches, a gift shop and second hand books. In the afternoon we will continue on through the delightful countryside to the Dolaucothi Gold Mines (NT). There is an underground and an overground tour and the chance to pan for gold! Enclosed, flat shoes are recommended for the steep slopes. There is a tea room and shop selling Welsh gold jewellery. Day 5 Thursday: At 9.30 am we go to the quay where we board a boat for a tour of Bute Park or round the docks, depending on the weather. Once back on dry land, we can go back to the hotel and explore the town before having our farewell meal (at our own expense) at 6 pm in an Italian restaurant. Day 6 Friday: Depart at 9 am. Our half way stop will be Stourhead (NT) for lunch. Hopefully we can enjoy the trees in their beautiful autumn colours before boarding the coach for home.